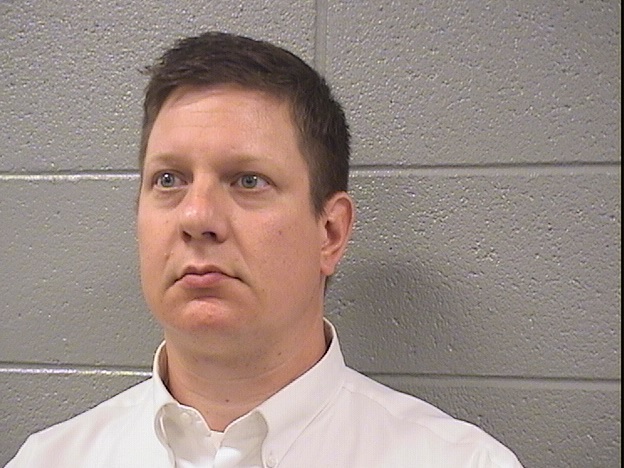 CHICAGO (WLS) -- The judge overseeing the trial of Chicago Police Officer Jason Van Dyke, who is accused of murdering Laquan McDonald in 2014, increased the officer's bail by $2,000 Thursday after determining that Van Dyke violated conditions of his bail. Van Dyke has been out on bond, but faced returning to jail after speaking to several media outlets last week. He posted $200 bond, or 10 percent of the bail increase, at court and was released from custody following the hearing. Van Dyke also took a new mug shot as part of the process after the judge determined he had violated the conditions of his bail. "Of course I'm extremely nervous. I might be looking at the possibility of spending the rest of my life in prison for, you know, doing my job as I was trained as a Chicago police officer," Van Dyke said in one of the interviews in question. "I never would have fired my gun if I didn't think my life was in jeopardy or another citizen's life was. It's, you know, something you have to live with forever." The interviews were done under the supervision of his attorneys and his media consultant, former Chicago journalist Anne Kavanagh. The special prosecutor argued that Van Dyke engaged in conduct calculated to embarrass, hinder or obstruct the court in its administration of justice and that he violated the terms of his bail. The special prosecutor asked the judge to raise it or revoke it. Van Dyke's attorney countered by saying Van Dyke did not discuss specifics of the case and was exercising his right to free speech. Judge Vincent Gaughan reminded the court that there were nine conditions of Van Dyke's $1.5 million bail and said that he found the interviews to be in violation of the second condition, which was to "obey all court orders and processes." Gaughan agreed with Van Dyke's attorneys that ordinarily Van Dyke would have been protected by his First Amendment right to free speech, but that he was not in this case because the court had issued a decorum order that barred Van Dyke and others involved in the case from talking publicly. The judge's order prohibits anyone involved in the case from speaking publicly; specifically, they cannot "express outside of the court an opinion or make any comment." Van Dyke had refused interview requests up until the week before his trial began. Community activist Frank Chapman said he believes Van Dyke's interviews were a ploy to sway public opinion and potential jurors. "Because he's been trying to influence the public in his favor. There would have been no other reason for him to speak," he said. "For two-and-a-half years it's been 'A white cop shoots a black teenager.' White and black have nothing to do with this case. And for two-and-a-half-years he's had to sit there and take it," he said. Van Dyke will be in court Monday as potential jurors are questioned. About 200 Cook County residents are in the pool of possible jurors. If 12 impartial jurors and alternates cannot be selected, the judge may revisit the defense team's request to have jurors outside of Cook County decide Van Dyke's fate.